Mattress protector There are 2 products. Fitted mattress protectors, 100% cotton terry coated with polyurethane breathable, 180 gr/m². Height : 30 cm polyester jersey drop, elastic all around. 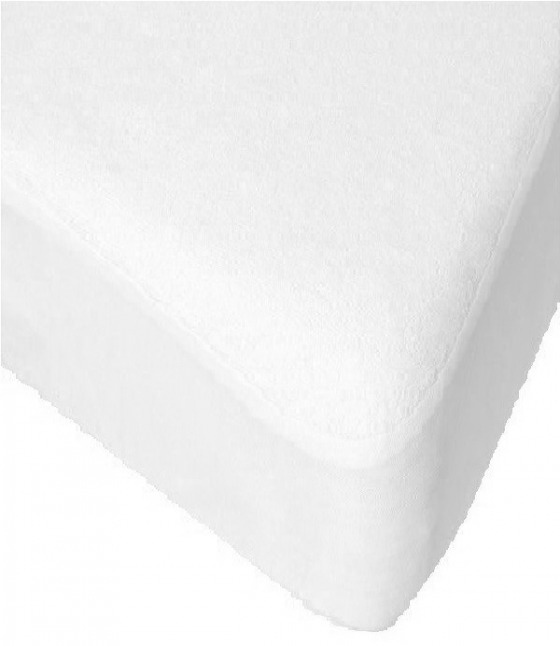 Fitted mattress protectors, 100% cotton terry coated with polyurethane breathable, 180 gr/m². Height : 40 cm polyester jersey drop, elastic all around.